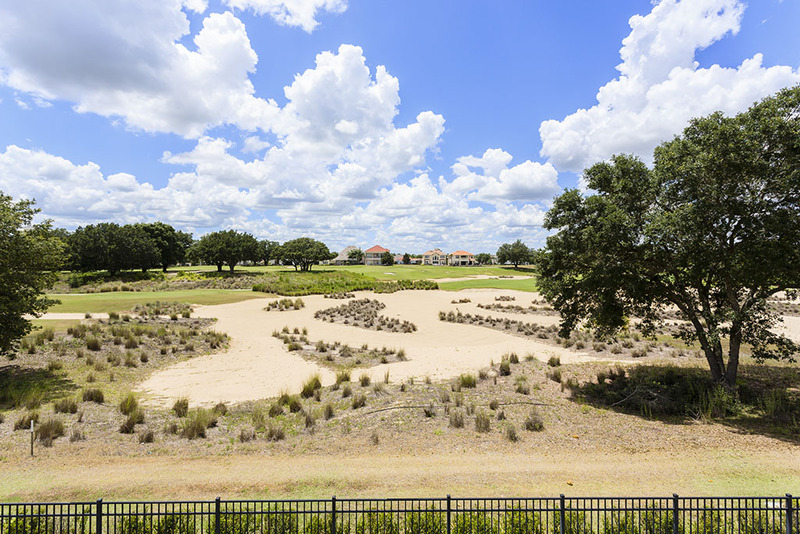 This amazing luxury rental enjoys spectacular views over the 7th Fairway of the Tom Watson designed Independence PGA course. 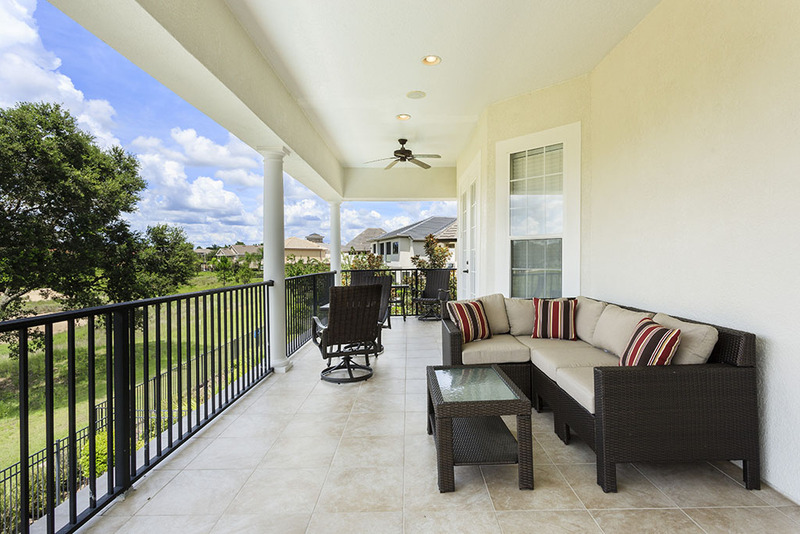 From the west facing balcony terraces and pool deck of this stunning property, guests can enjoy sunset views over the beautiful landscape of Reunion Resort. 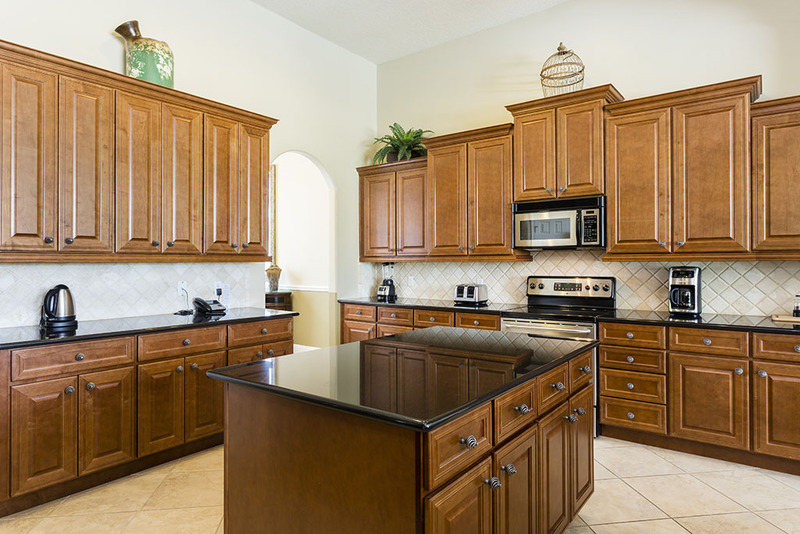 Situated in the highly sought after Gathering Ct, your own private luxury vacation rental home is just 12 minutes away from Walt Disney World and a short drive to local superstores and restaurants. 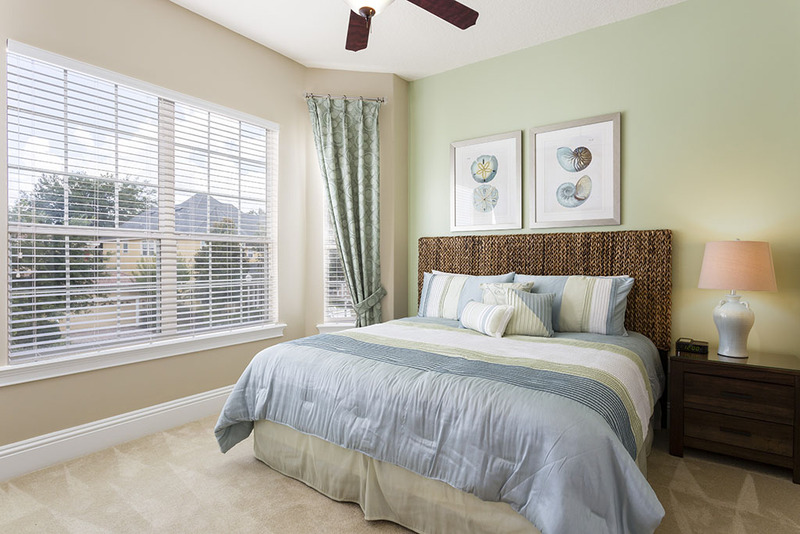 Easy access out onto Interstate 4 ensures that you are never far away from the world famous attractions of Central Florida! 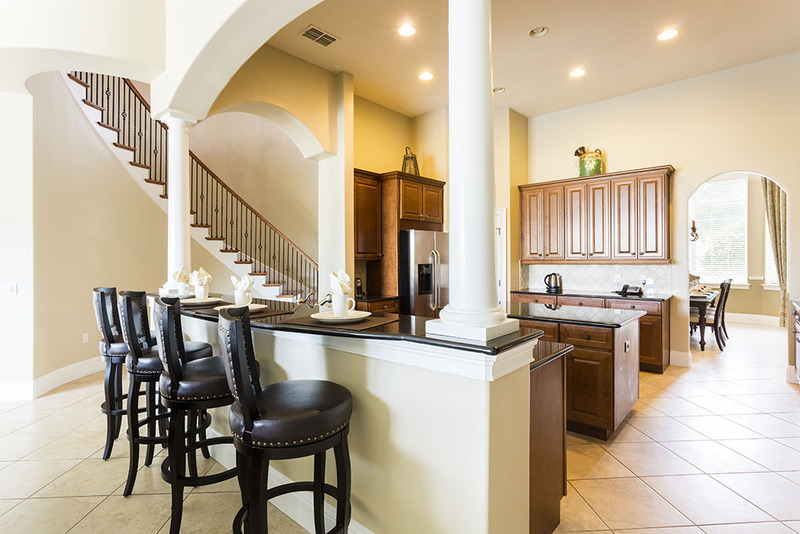 Best of all, this incredible home provides a peaceful haven for guests to return to after a fun filled day at the theme parks. 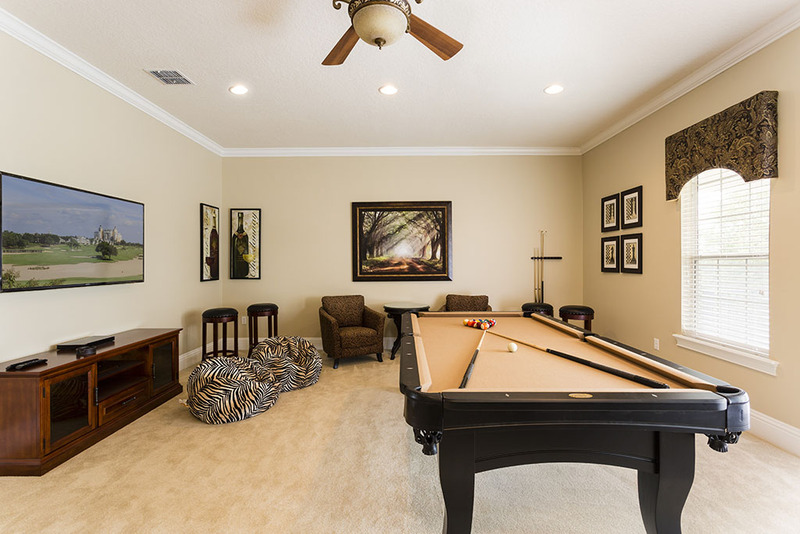 The home benefits from a very spacious games area on the upper floor and includes a poker table, luxury pool table and TV area with comfortable seating. 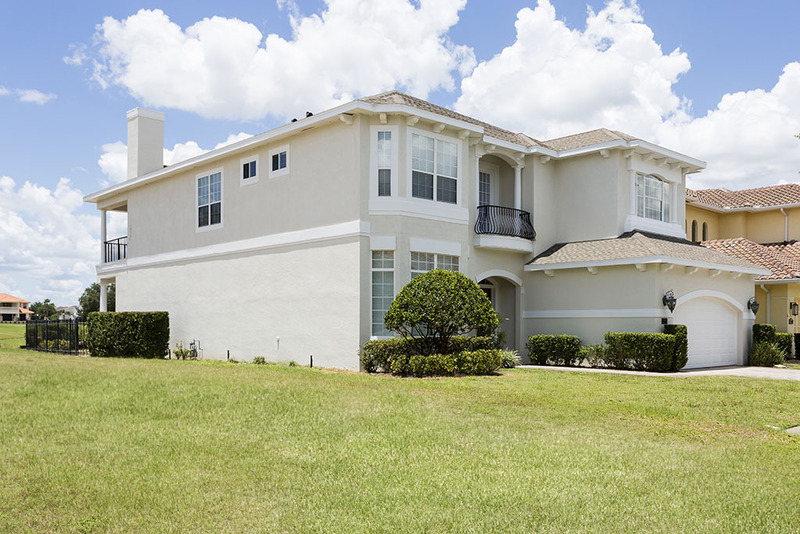 All with spectacular views and balcony access over the pool deck and golf course. 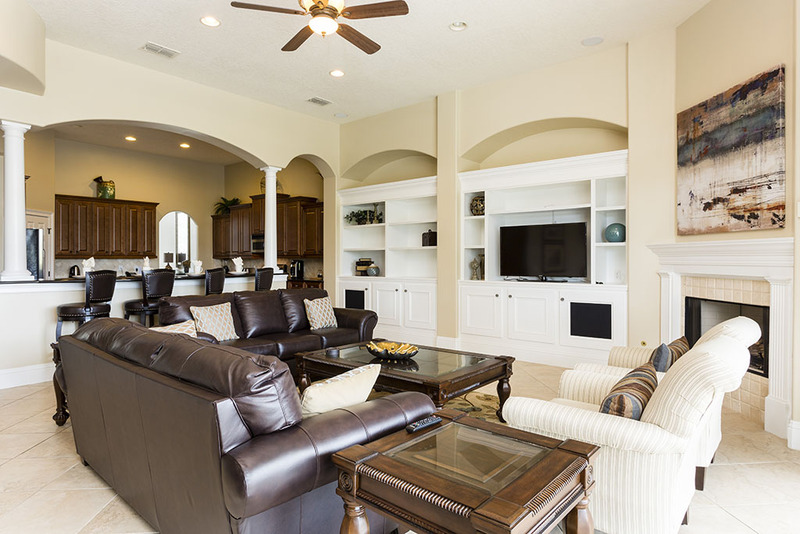 A home cinema includes 7 seats and 4 'bean chairs' for guests to relax watching their favorite movies. 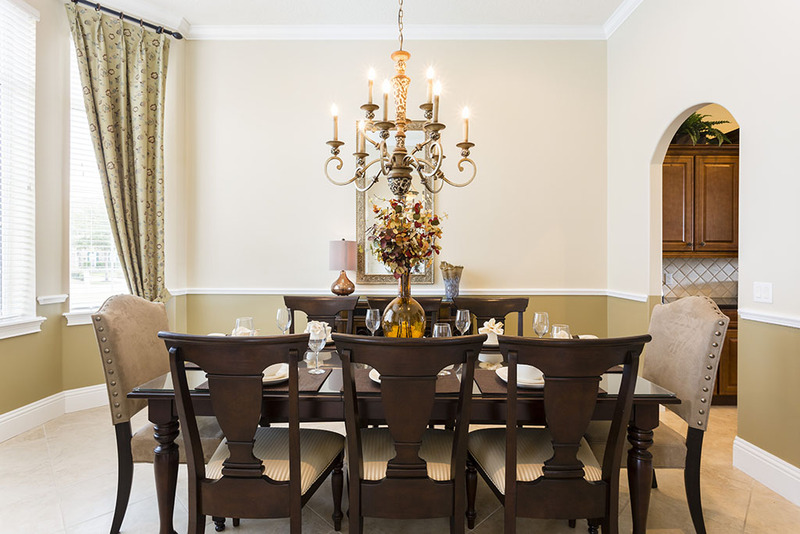 This spectacular luxury home's ground floor, provides a large open layout for guests to enjoy their vacation time together. 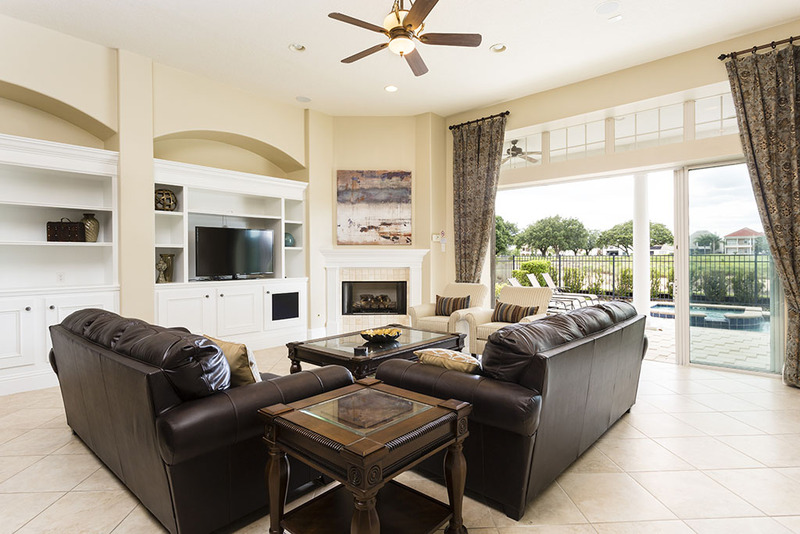 With views out onto the pool deck, the family living area includes a large wall mounted TV, 2 comfortable chairs and 2 sofas to bring the family together for some quality time in air conditioned comfort. 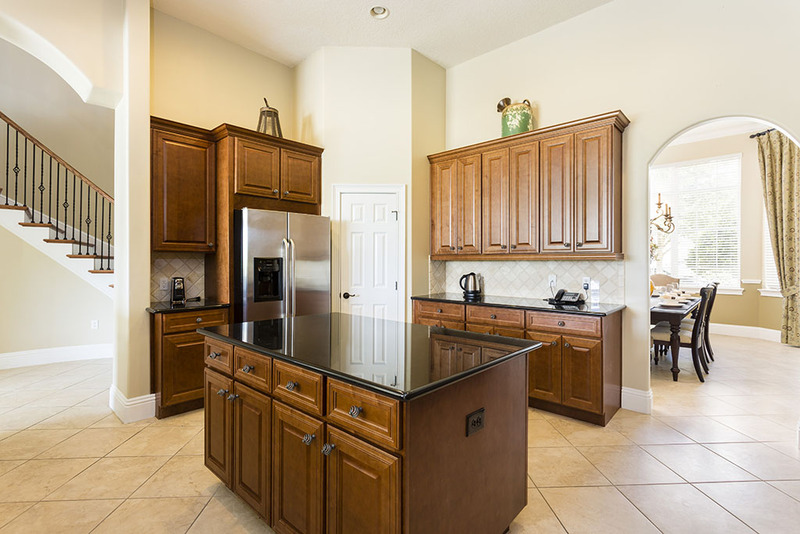 The spacious kitchen is fully equipped and includes magnificent black granite surfaces, including an island unit and 4 seat breakfast bar with stylish columns to ceiling height. 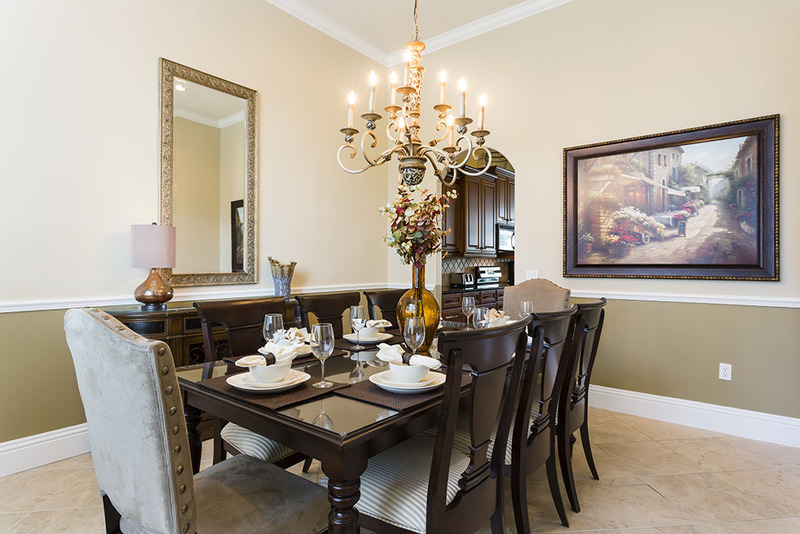 An elegant and luxurious 8 seat dining table is located to the front of the home, making a perfect opportunity to dine formally or informally throughout your stay. 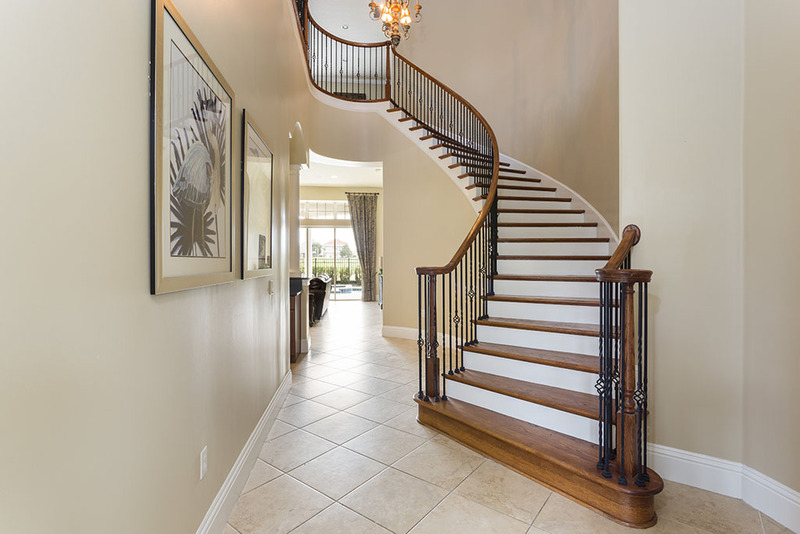 A sweeping wooden staircase from the ground floor, leads to the gallery landing area complete with games area. 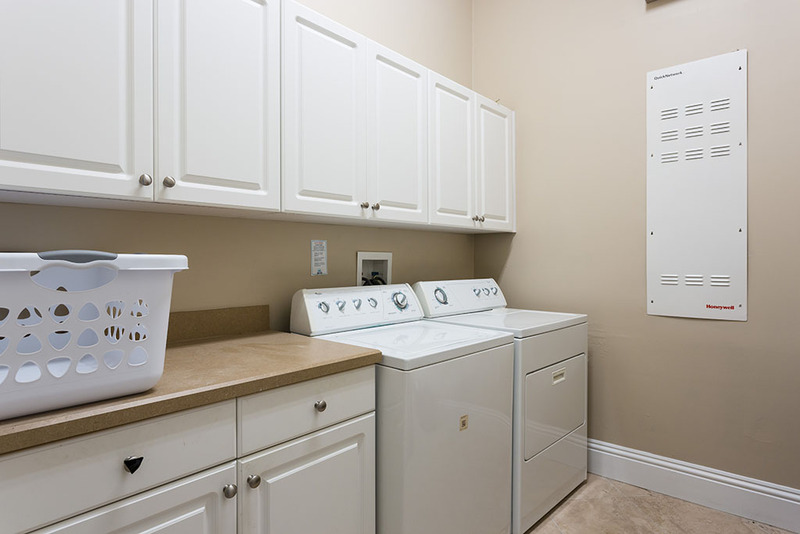 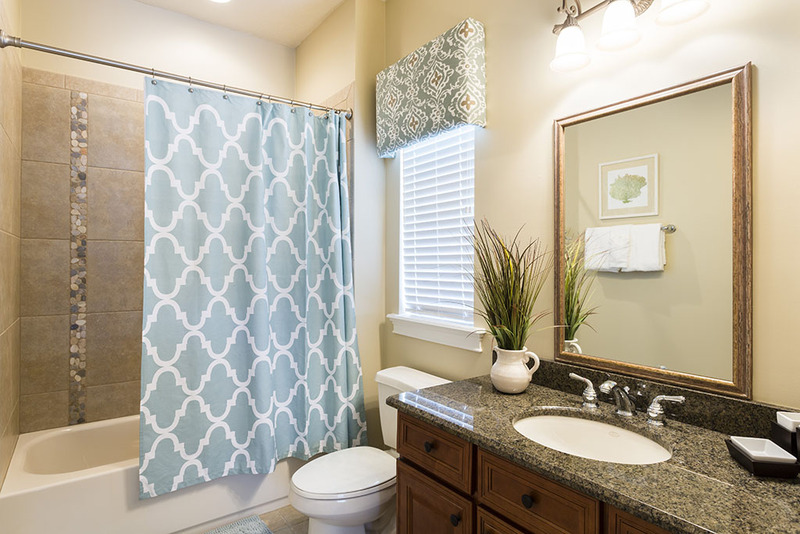 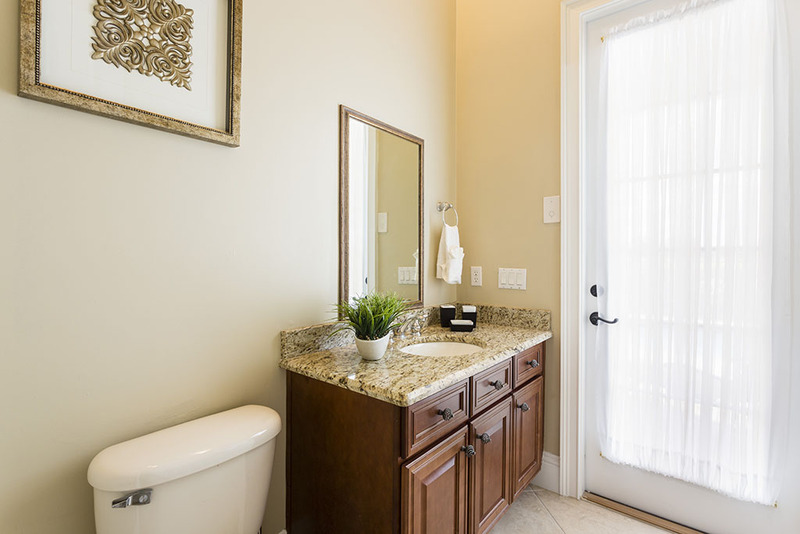 A family WC doubles as a shared bathroom with the pool deck. 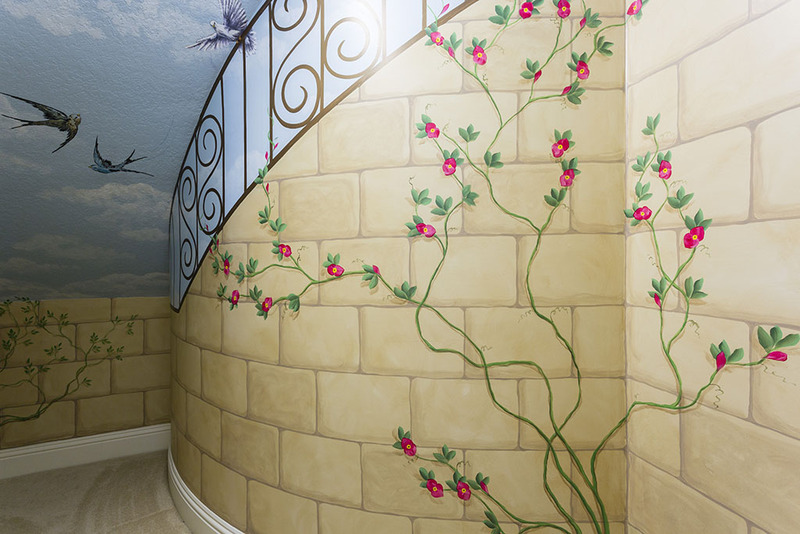 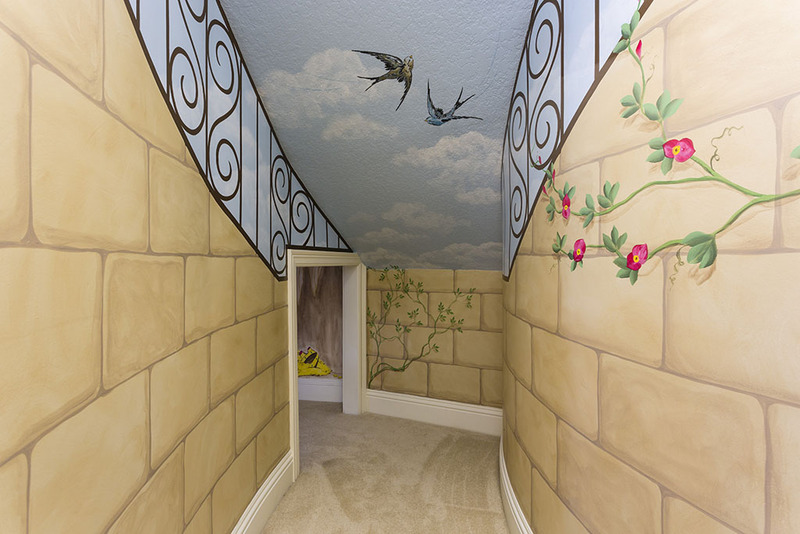 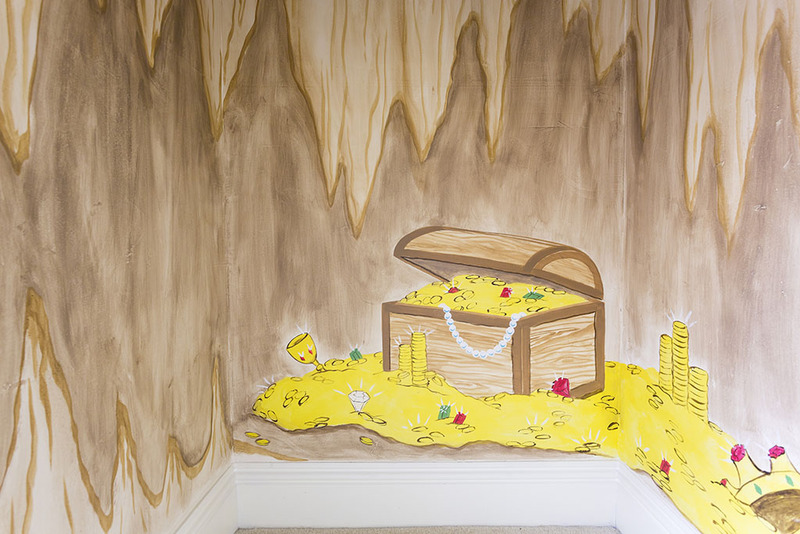 A fun themed den offers a great hideaway for kids to enjoy their play! 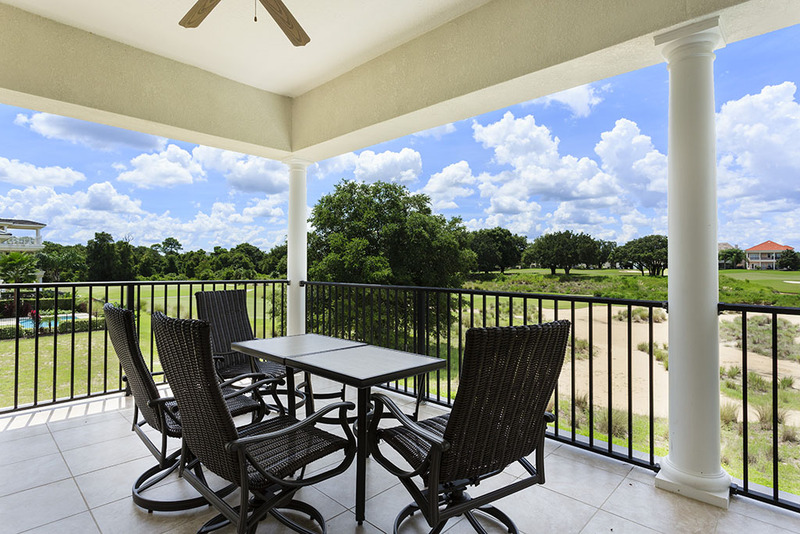 From your west facing covered lanai, guests can enjoy majestic views over one of Reunion's 3 magnificent golf courses, with sunset views for those that love to relax outdoors for a remarkable Floridian evening. 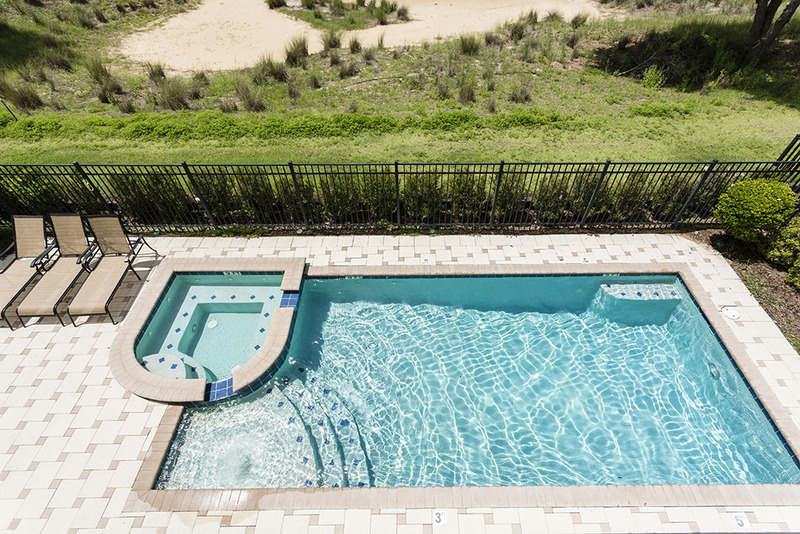 The pool and spa can be heated optionally. 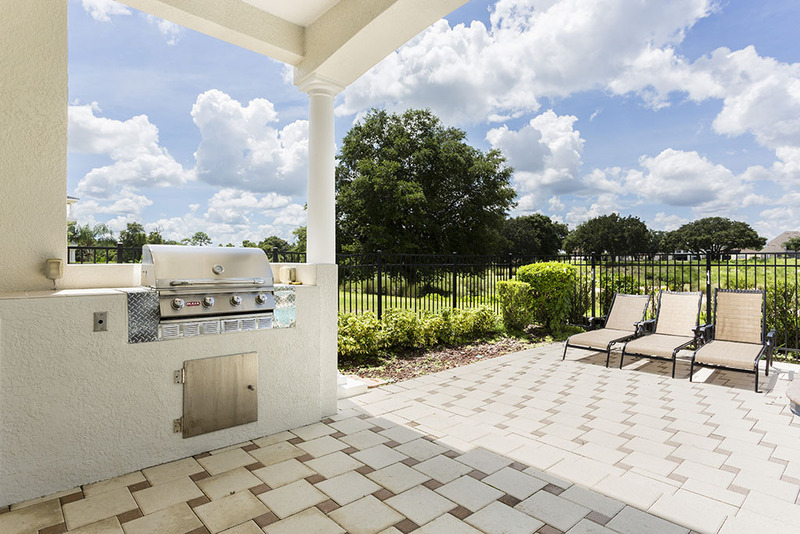 A mains gas BBQ is provided at no additional charge. 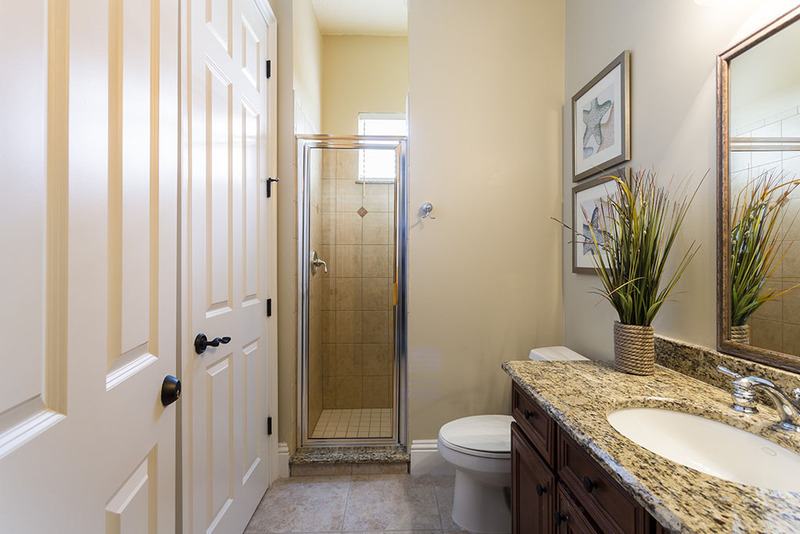 A beautiful King sized master opens out onto the pool deck and includes a large luxury bathroom with a spa bath, twin vanities, shower and two walk in wardrobes. 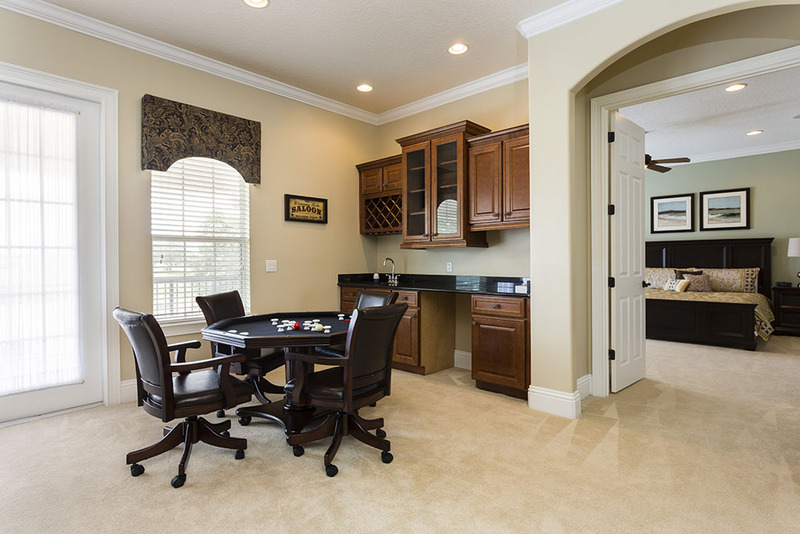 To the rear of the home a large King sized master includes seating area and balcony access. 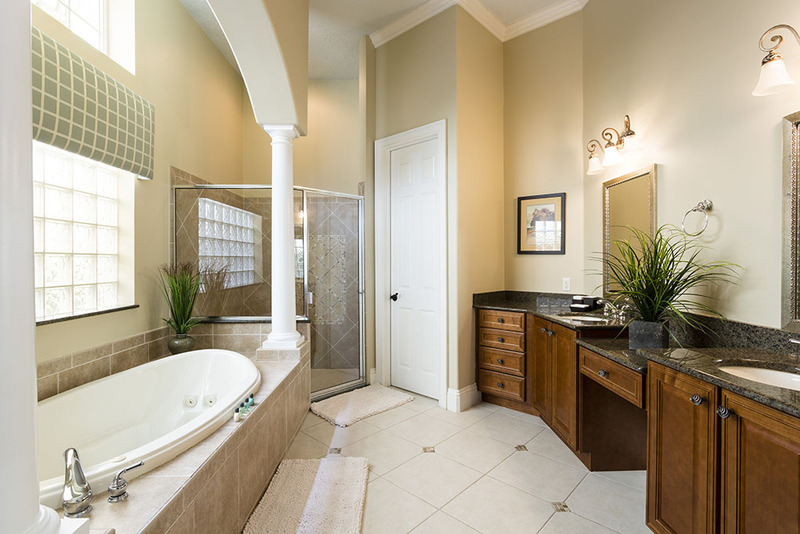 An impressive ensuite bathroom includes twin vanities, spa bath and shower. 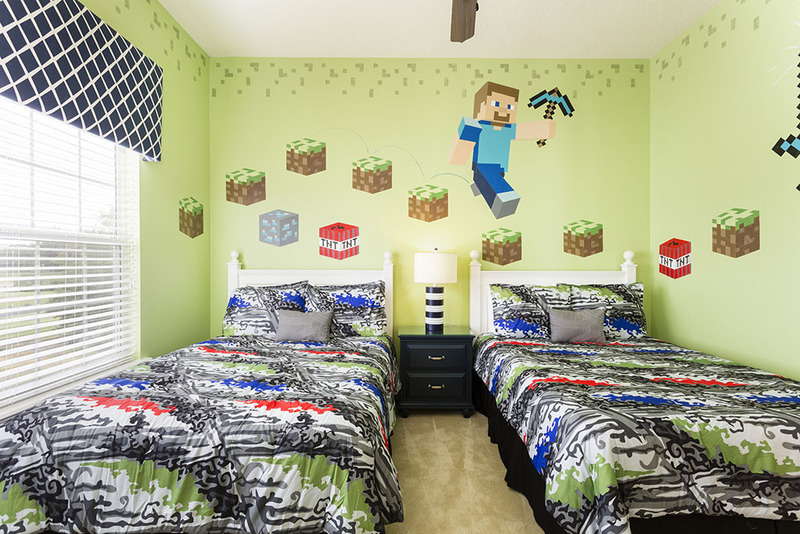 Towards the mid section of the home, a Minecraft themed room includes two full sized beds and benefits from a an ensuite with shower and WC. 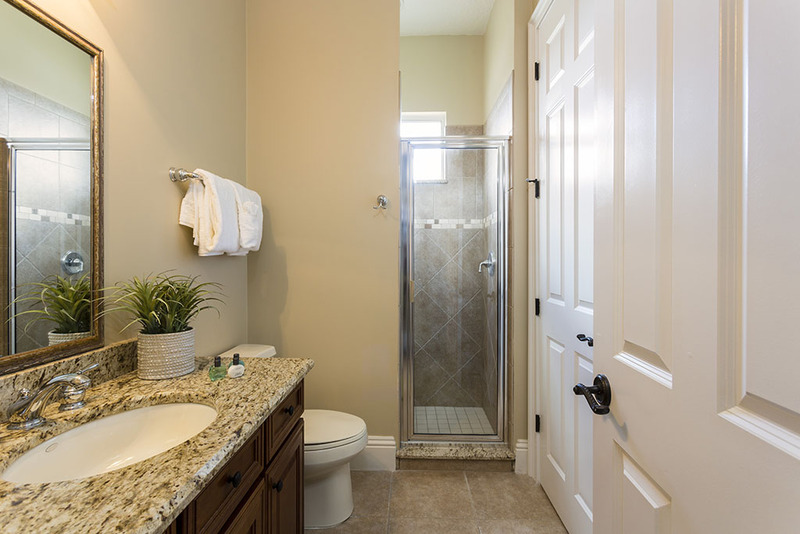 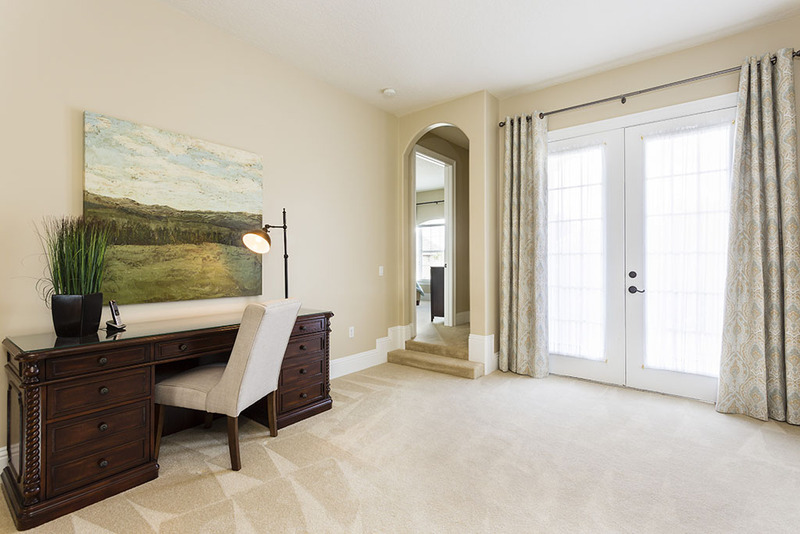 A King sized bedroom is located to the front of the home and includes a bathroom suite with shower. 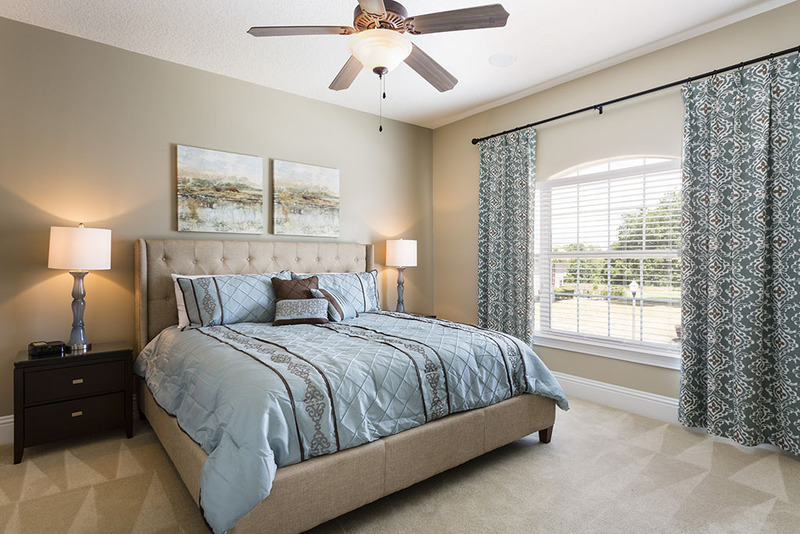 A further King sized bedroom is located to the front of the home and includes a bathroom suite with bath/shower.